#TeamBrett is coming for you! TEAM BRETT is ready for action in Studio 42’s Unproducible Smackdown. 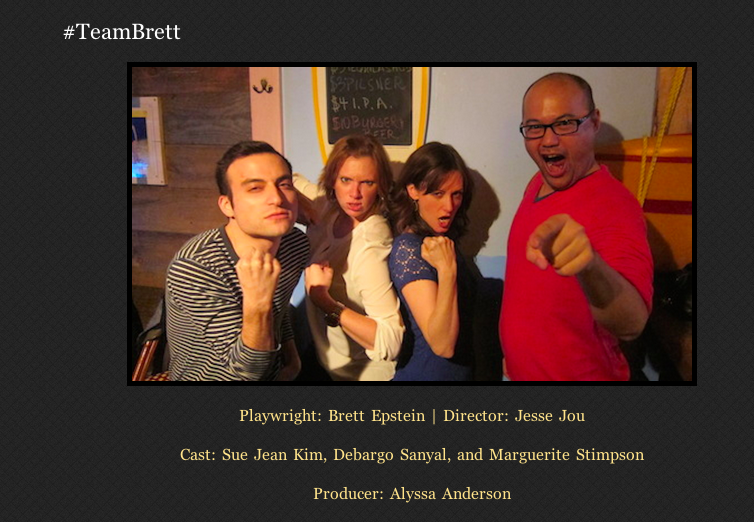 Brett is writing for the beyond crazy good actors Debargo Sanyal, Sue Jean Kim & Marguerite Stimpkins. Directed by the fabulous Jesse Jou. Click the photo for details/tickets. The event is MAY 3RD!